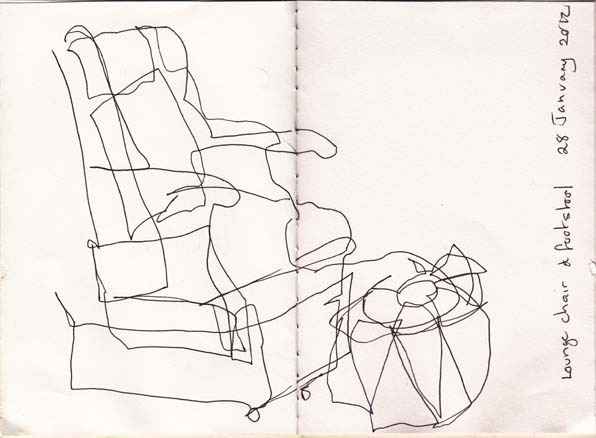 Here is my most recent drawing, my lounge chair and footstool. I’ve been playing around with long stitch on even count canvas lately, my own designs rather than pre-designed kits. I decided to use some of my drawings as the basis for some stitching. The colour is quite strong after a simple line drawing. I’m keeping the canvas to the same size as the original drawings, in this case 15 X 20 cms. 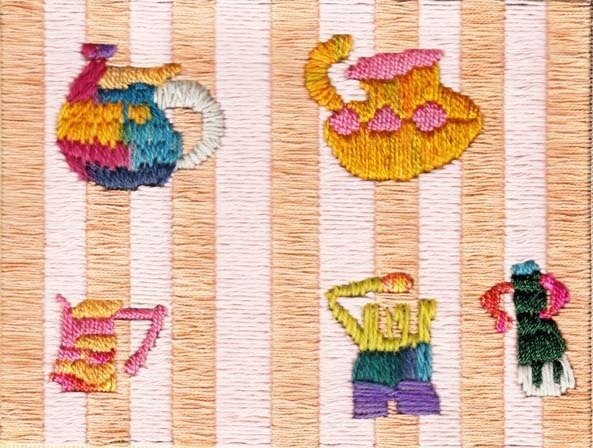 Here is my 2 January drawing of jugs transposed into long stitch. 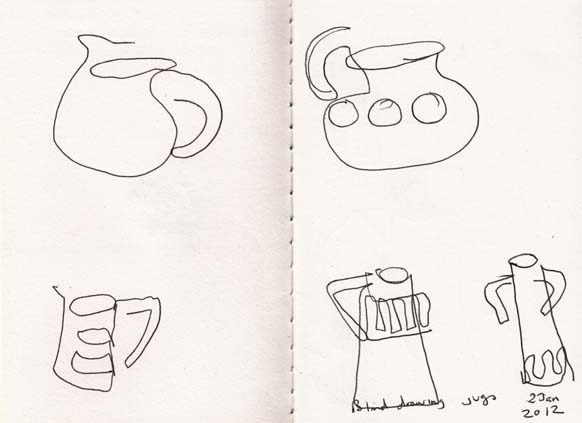 I quite like the jugs floating against the space of the blank canvas. The final version turned out to be more ‘decorative’ than I had intended, mainly because I wasn’t sure that I would have sufficient thread to complete the background. Of course it may well have been more interesting if I had sewn as much background as I could with the thread I had and then filled in with the second colour.